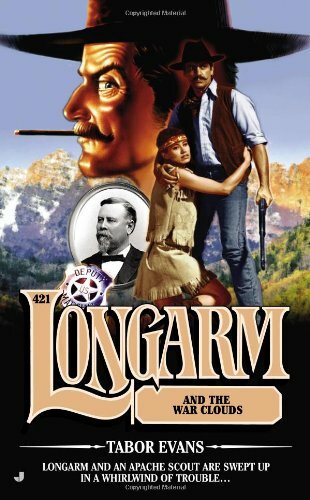 Longarmâs old friend, War Cloud, the Apache scout, is taking a break from getting shot every day in Buffalo Billâs Wild West show to come to the aid of the U.S. government. War Cloud, along with his beautiful daughter Magpie, will team up with Longarm to retrieve an errant Army wife who has run off with an Apache. If they fail to bring back the ravishing runaway, the cuckolded Major Belcher may spark another Apache war by storming the sacred Shadow MontaÃ±as to reclaim his wife and kill her Indian lover. With a loose cannon on one side of the border and arrow-happy Apaches on the other, Longarm will have to be fast as lightningâor he and his companions may be caught in a hail of bullets.